We are a leading Manufacturer of asada pipe threading machine up to - 3 inch onsite, asada pipe threading machine up to - 4 inch onsite, pipe threading oil onsite, plumbing machine onsite, threading oil cool onsite and asada pipe threading machine up to - 2" onsite from Navi Mumbai, India. 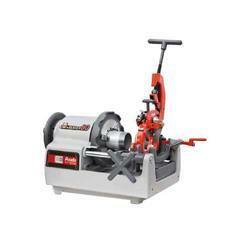 Durable, 3" threading machine for accurately cuts water and gas tight threads. Accurate threading of gas, water, stainless pipe and bolt. High output motor of 1140W easily copes with voltage drops. Maintenance free ball bearing protects spindle support from abrasion. 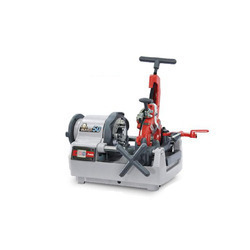 High capacity oil pump keeps enough oil for low rotation and ensures steady threading. Easy to grab Hammer Chuck provides steady grip. Cutter blade and Reamer blade with specially shaped blade tip were specially designed for the Beaver series to give sharp cutting and durability. 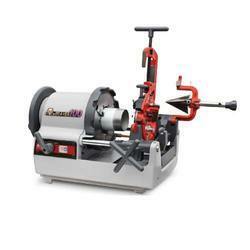 Durable, 4" threading machine for accurately cuts water and gas tight threads. Turkey Red Oil is also known as Sulfated Castor Oil. It is the only oil that will completely disperse in water. The oil is expressed from the seed. Sulfated castor oil is created by adding sulfuric acid to castor oil, and is considered the first synthetic detergent. Turkey Red Oil has a distinct and heavy scent. It is a surfactant and therefore makes a wonderful base for a bath oil as it mixes well with water, producing a milk bath. Application:Steel pipe,Stainless Steel Pipe,Ductile Cast Iron. 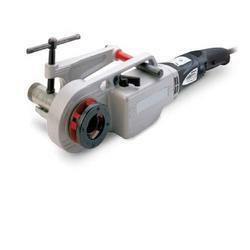 Usage:For cutting existing Pipes and buried pipes for repairing and dismantling. 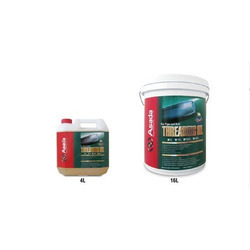 More economical threading oil ideal for pipe & bolt threading machines. Reduce cutting resistance and increase dies life. Suitable pipe of GI,Ms and SS for threading. Very portable machine.Powerfull electric motor use. Spindle support ed by sealed ball bearings.very sharp cutter easy to cuts and strong Frame. For Water,Gas,Electricty Pipe and Bolt Threading.